A bear bone found nearly 100 years ago in a cave in Co. Clare, Ireland has provided evidence enabling archaeologist Dr Marion Dowd to re-write the prehistory of the human occupation of Ireland. 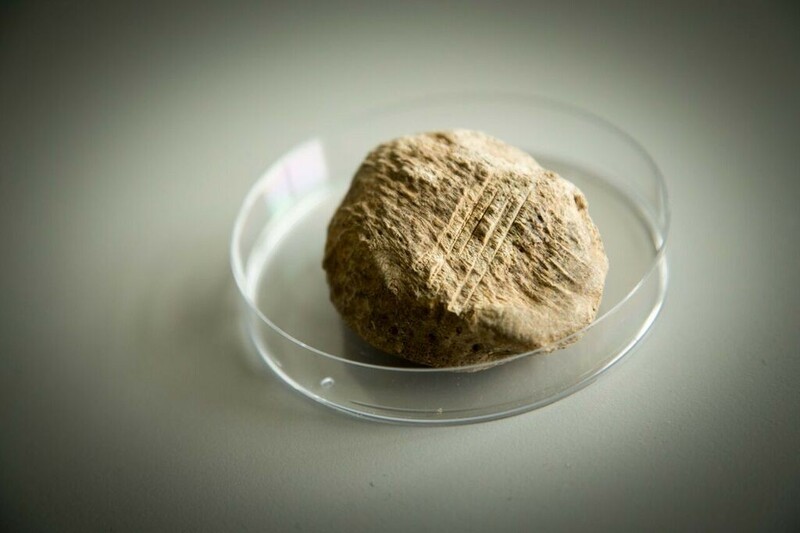 Radiocarbon dating of a butchered brown bear bone, stored in a cardboard box at the National Museum of Ireland for almost 100 years, has established that humans were on the island of Ireland some 12,500 years ago – 2,500 earlier than previously believed. 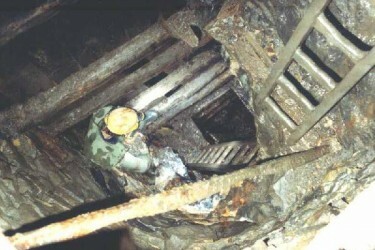 The 1903 Excavation. Image courtesy of National Museum of Ireland. From as long ago as the 1860s, antiquarians and early scientists have been searching for an Irish Palaeolithic, for signs of humans on the island prior to the Mesolithic (i.e. prior to 8,000 BC). Over the past150 years, occasional Palaeolithic tools have surfaced but in each case have been dismissed as objects dropped by ice sheets or geological processes and originating from Britain. Until now, the oldest evidence of human occupation on the island of Ireland has been at Mount Sandel in Co. Derry, a site that has been dated to 8,000 BC. 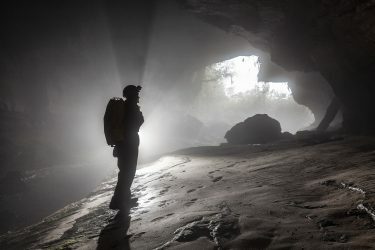 However, new analysis of the bear patella (knee bone) originally found in Alice and Gwendoline Cave, Co. Clare in 1903 provides undisputed evidence that people existed in Ireland during the preceding Palaeolithic period at 10,500 BC, some 12,500 years ago. The adult bear bone was one of thousands of bones originally discovered in Alice and Gwendoline Cave, Co. Clare in 1903 by a team of early scientists. They published a report on their investigations and noted that the bear bone had knife marks. The bone was stored in a collection at the National Museum of Ireland since the 1920s. In 2010 and 2011, animal osteologist Dr Ruth Carden, a Research Associate at the museum, was re-analysing its animal bone collections from early cave excavations. She came across the bear bone and documented it along with many others. The cut-marked bear patella. Image credit James Connolly. 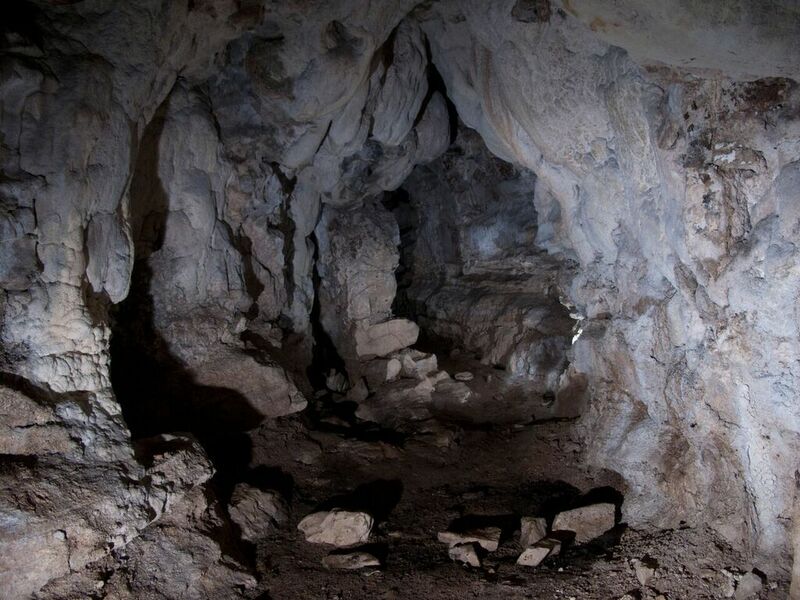 As a specialist in cave archaeology, Dr Marion Dowd, a lecturer in Prehistoric Archaeology at the School of Science in IT Sligo and a specialist in Irish cave archaeology, became interested in the butchered bear patella. Together with Dr Carden, a Research Associate with the National Museum of Ireland, she sought funding from the Royal Irish Academy for radiocarbon dating, which was carried out by the Chrono Centre at Queen’s University Belfast. 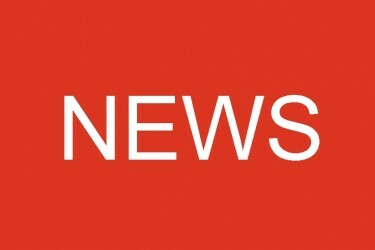 A second sample was sent to the University of Oxford for radiocarbon dating to test the validity of the initial result. Both dates indicated human butchery of the bear about 12,500 years ago. The bone was then sent to three bone specialists for independent analysis of the cut marks: Dr Jill Cook at the British Museum in London, Prof. Terry O’Connor at the University of York and Prof. Alice Choyke at the Central European University in Hungary. The experts were unaware of the radiocarbon dating results prior to their examinations but all determined that the cut marks were made on fresh bone, confirming that the cut marks were of the same date as the patella, and therefore that humans were in Ireland during the Palaeolithic period. Drawing courtesy of Dr Marion Dowd. During the Palaeolithic era, Ireland was already an island, cut off from the rest of north-west Europe. The nomadic hunter gatherer groups that arrived came by boat. This was the end of the Ice Age when the climate was considerably colder. These Palaeolithic groups would have been confronted with an island that looked very different to what it is like today. Apart from bear, they possibly hunted giant deer, red deer, reindeer, hare and wolf. The paper on the discovery was published over the weekend in the peer-reviewed international scientific journal Quaternary Science Reviews (QSR). The paper can be accessed online here. The discovery comes just three years after the first evidence of Palaeolithic occupation of Scotland was uncovered. In 2013, a cache of flint tools was unearthed on the Isle of Islay, pushing the date of human existence in Scotland from the Mesolithic into the Palaeolithic era. 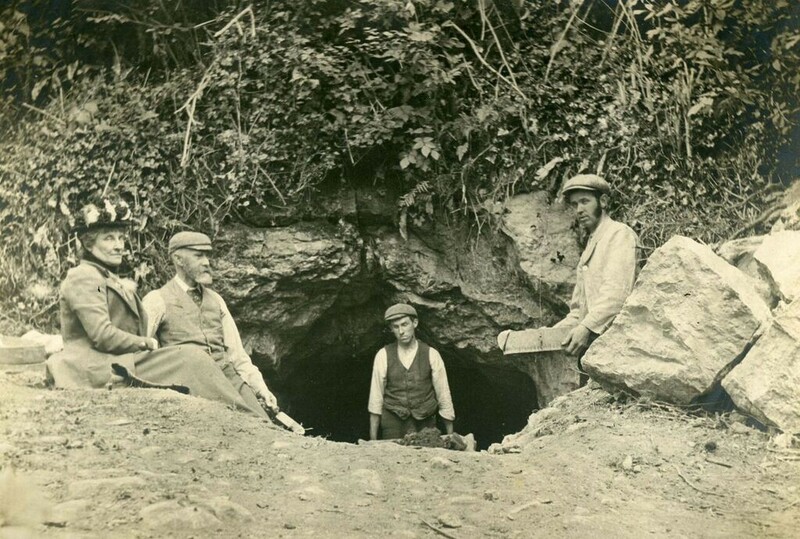 Dr Dowd and Dr Carden are now hoping to get funding to carry out further analysis of other material recovered during the 1903 excavations, the cave itself and other potential cave sites around the country. Dr Dowd’s book on The Archaeology of Caves in Ireland has recently won Current Archaeology’s book of the year award. In the following video, she talks about her latest discovery.